Caption: Kevin is one enthusiastic bike dude. I never dreamed there would be a bike shop in Pine, AZ, and I happened to wander in as his first customer even before http://www.pedals-n-pistons.com/">Petals-n-Pistons even opened. The service he gives is beyond outstanding, and every visit is like a visit to the fun house. Here he is outfitting my Mountain Bike (bought here) with new super knobby tires. Posted on May 27, 2015 by alan. 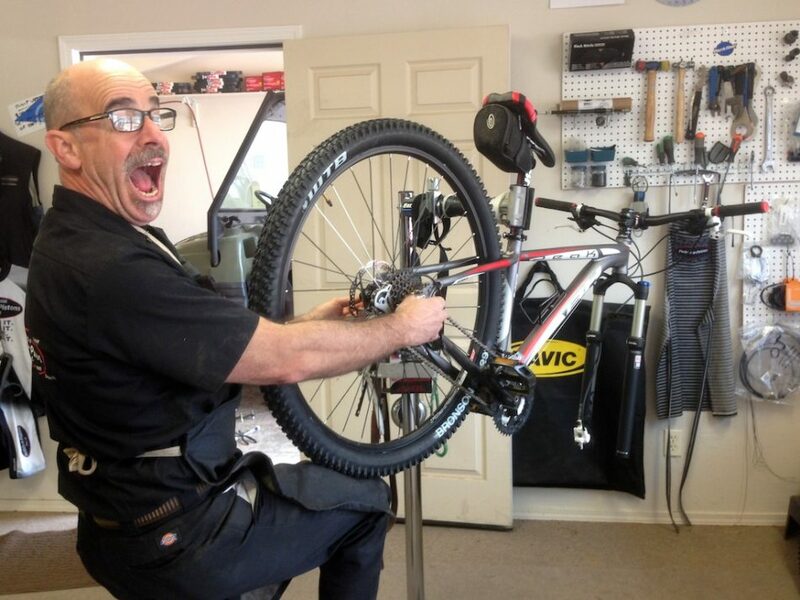 This entry was posted in People and tagged bicycle, mechanic, smile. Bookmark the permalink.